On Facebook, a Pro-life Virtual Protest runs all day on 22 January. If you have a Facebook account, I encourage you to participate with a pro-life status message and, if you wish, a pro-life profile picture. If you are looking for life resources or if you’re wondering if or why you should be pro-life, please visit one or more of the online resources dedicated to ending abortion, euthanasia, and other assaults against God’s first great gift to mankind. 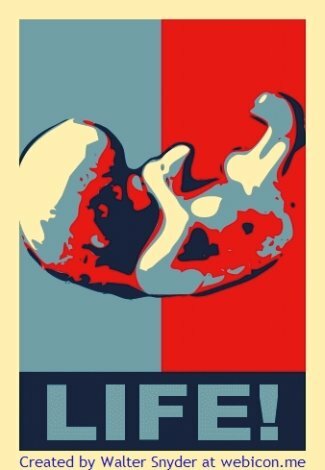 These sites include Lutherans for Life, the Vitae Foundation, National Right to Life, Blogs4Life, and Pro-Life Blogs. If you’d like to use this image, please feel free to do so. I created it to share with others. May God bless the message and the messengers. Cross-posted from Ask the Pastor.